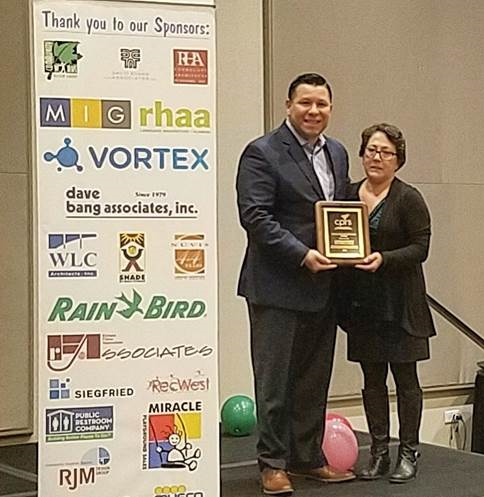 Sacramento, CA: Today, Assemblymember Eduardo Garcia (D-Coachella) was named The California Park and Recreation Society’s (CPRS) “Legislator of the Year.” CPRS is an extensive statewide membership coalition dedicated to park and recreation networking and advocacy. The award was presented this morning, at the CPRS’s Annual Parks and Recreation Conference and Expo. Longtime parks champion, Assemblymember Garcia was selected for his dedicated efforts to increase access and investments in recreation space and opportunities within the California State Legislature. Assemblymember Garcia, current Chair of the Assembly Committee on Water, Parks and Wildlife has introduced AB 18, California Clean Water, Climate, Coastal Protection, and Outdoor Access For All Act of 2018. It has been 14 years since California last approved a “true park bond.” This legislation seeks to address this grave oversight and increase opportunities for all Californians to access safe parks and recreational activities. “Assemblymember Garcia scored a 100% on the CPRS scorecard and has demonstrated an unwavering commitment to investing in parks, open-space and conversation lands in California. His passion for building community through parks was no more evident than in his own community of Coachella, a priority of his that appears to have transcended much of Mr. Garcia’s legislative agenda including AB 18, a $3.1 Billion park bond, a CPRS priority. We have found a true champion in Mr. Garcia and applaud all his efforts on behalf our profession,” provided CPRS representative in a statement. AB 18 has successfully passed the Assembly Water, Parks and Wildlife Committee, Appropriations Committee and is ready for third reading on the Assembly Floor.